The former soldier being baptized. Once again, a new year has dawned upon us—a new year of opportunities and privileges of advancing the kingdom of Heaven. Each new year provides a fresh opportunity to evaluate our lives and plan for advancement. “As you enter upon a new year, let it be with an earnest resolve to have your course onward and upward. Let your life be more elevated and exalted than it has hitherto been. Make it your aim not to seek your own interest and pleasure, but to advance the cause of your Redeemer.” Testimonies, vol. 2, 261. While this was penned to Ellen White’s son Edson on his nineteenth birthday, it is well worth our thought and consideration as we enter this new year, as well. I pray that we have grown in grace in the past year, but we must set our sights higher in seeking not our own interest but the interests of our Savior who has done so much for us. Yet, while we are to seek to progress continually in our Christian walk, we are not to become discouraged, but keep pressing forward, looking to our Master. “A new year has opened upon us. . . . Nestle in the sheltering arms of Jesus, and do not wrestle yourself out of His arms. Just believe and praise God and go forward. We are almost home.” This Day with God, 9. May we press higher, resting in the arms of Jesus at every step! With the new year, there is much to plan and prepare to lead more souls to the Savior through the ministry of Mission Projects International. One country that the Lord has led us to labor in is the small West African country of Togo. 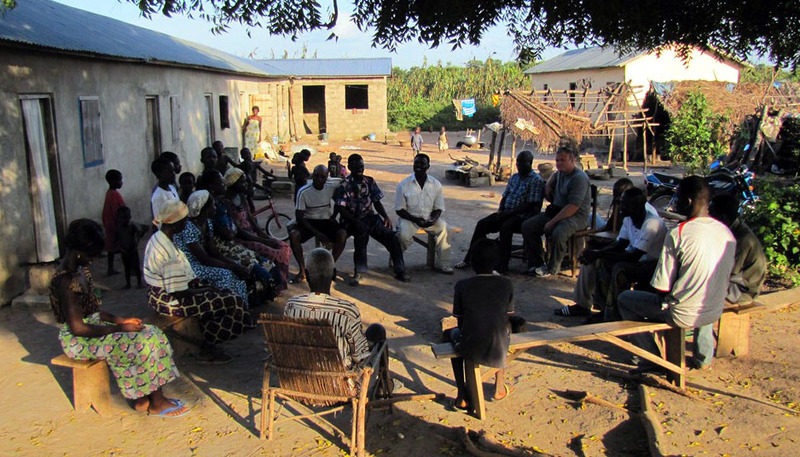 Mike Bauler has recently returned from a busy trip of evangelism, training and planning for the progress of God’s work in this needy country. One of the first towns to which Mike was able to minister this trip was Sotouboua. For several months before, Timothy, one of the lay Bible workers that you are helping to support, has been actively engaged in Bible work, seeking to arouse an interest among the local people, and he certainly has been busy with around forty Bible studies per week. While Mike was there, they held an evangelistic series, and the Lord greatly blessed. 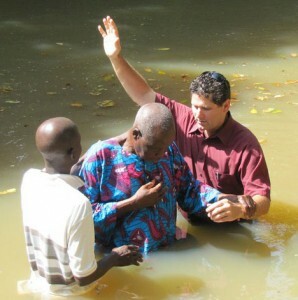 Many of Timothy’s contacts came, and eight made the commitment to the Lord through baptism at the end. One seventy-year-old man has taken hold of the message with all of his might. This ex-soldier knows that he is a soldier again—in the Lord’s army! After accepting the message himself, he led his entire family to a conversion experience, as well, but his zeal has not stopped here. After being baptized, he donated his land for a new church to be built. He said that the church could have all the land that they wanted because it is the Lord’s anyway; he is just a pilgrim passing through, looking forward to his true possession in the kingdom of Heaven! 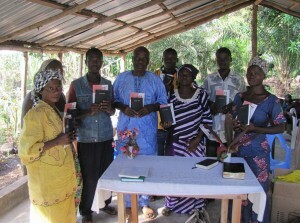 From this new church, the light of truth is penetrating to other villages, as well. Timothy visits the local hospital to encourage and minister to the sick there. One day, as Timothy was visiting the sick at the local hospital, he was able to share the gospel message with one man who asked him to come back again. Later, he began to share with him about God’s downtrodden Law and the forgotten Sabbath day. While this came as quite a shock at first, as the man digested these truths, he came to see that they were solidly from the Word of God. A man of action, the next Saturday, he kept his very first Sabbath. After being released from the hospital, he began to share the message he had learned with his family. He has earnestly requested for Timothy to come and share with his entire village. Timothy has been making the trek when he can to open up this new field for the Master, but since it is twenty hours’ walking distance, he is not able to make it frequently, so the man who received the message in the hospital has become an apostle to his own village. Thank you for helping to touch these lives and so many more through the Bible workers, evangelistic series and other work going on in Togo. We covet your prayers and support that the Lord’s work may continue to advance and shed the light of truth to these dark villages! Studying the Bible in one of the villages.